Over the past years I always have problem with my phone and or the network I used to use when it comes to mobile signal and most of all the Mobile Data connection which I cared less because I simply use my phone to its most basic function and that is through call and sms. However, last December I decided to have my own online business. This time around I have to have a phone that has reliable camera and of course a network that has more acceptable data connectivity. This time around I definitely reconsidered and finally moved to a different network provider. Last December, I finally have my first ever SMART Telecommunications Plan. 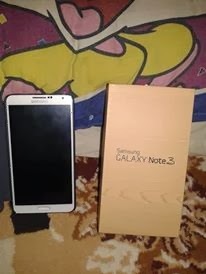 I decided to go with Samsung Note 3 because of many various reason. Giving the list specifications, I have no doubt that I would be loving the functionality of the phone. I totally recommend Samsung Note 3 and I consider it as a powerful andriod device. Giving the main reason that I will be using the device for my online store, the size of the phone is admirable pleasant to me. It allows me to do my thing and not being challenge by the size of its screen. The phone and tablet capacity is one of the many reason why I decided to buy Samsung Galaxy Note 3. After spending sometime with the phone, what I like most is the camera. The camera is a perfect substitute to a point shoot camera given the proper lights. I also love the Auto Focus, its 4X Digital Zoom, and most especially the Shot Mode [Beauty Face, Best Photo, Best Face, Sound & Shot, Drama Shot, Animated Photo, Golf Shot, Rich Tone (HDR), Eraser, Panorama Shot, Surround Shot, Sports Shot. I also the total packaging of the Samsung Galaxy Note 3. I specifically like the Leather-Like removable back cover of the Samsung Galaxy Note 3. To top that, the corrugated side of the phone provides a better grip to the phone plus the less rounded edge also look better than the rounded edges of most Samsung phones. I also love the idea striking metallic side as it adds better premium to me. The layout of the control buttons are located at the side the phone ( Volume control - Left side and on the right is the power button). Also, a removable battery for me is also an advantage versus their direct competitive. In general, I am super satisfied with the functionality of the phone. It gives me the things that I need to operate my small time online business. It gives me a the tablet and phone features in one like bigger screen and access to social media.